Are you a blogger looking to get more traffic? You may have heard that Pinterest is one of the greatest sources of traffic for bloggers. I can tell you that according to my Google Analytics, Pinterest by far is my great source of social traffic, even more than Facebook and Twitter! If you’re not using Pinterest to promote your blog, you need to start! 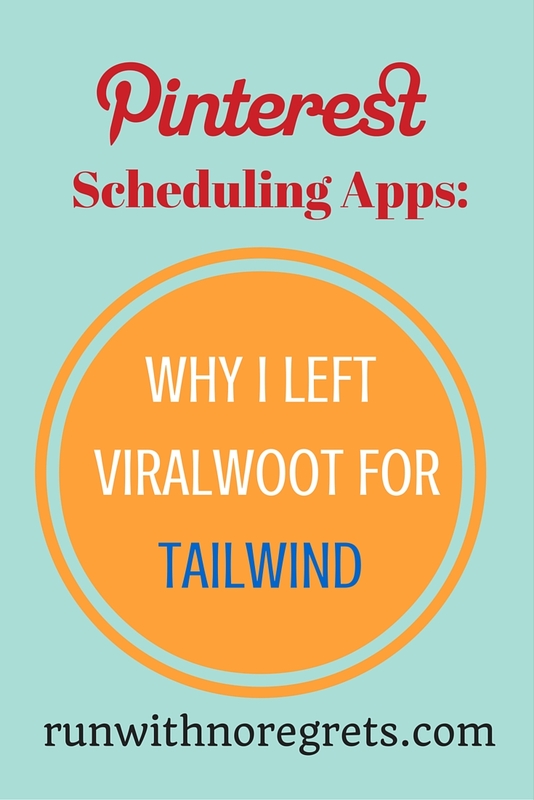 At first, I used Viralwoot, but over the past few months, I’ve found that Tailwind is a fantastic tool for Pinterest scheduling! I want to tell you how it’s worked for me and could possibly work for you! Disclaimer: This post contains affiliate links, but it is not a sponsored post. All opinions are my own! When I first learned about using programs to schedule your Pinterest posts, the first site I came across was Viralwoot. They had a Free-Forever plan as an option, so I figured hey, why not give it a try? Viralwoot works by using “seeds” as currency. You start out with 100 free seeds upon signing up. You can earn more seeds by following other Pinterest accounts, repinning pins to your boards, and liking Pinterest posts, which usually costs 5-10 seeds per transaction. Meanwhile, when other accounts follow you and like and repin your stuff, you lose seeds. So it’s a balancing act. As you can see at this point I have negative seeds! You can purchase seeds as well. 1,000 seeds cost $29, but you can buy up to 20,000 seeds for $219 if you have a small business. 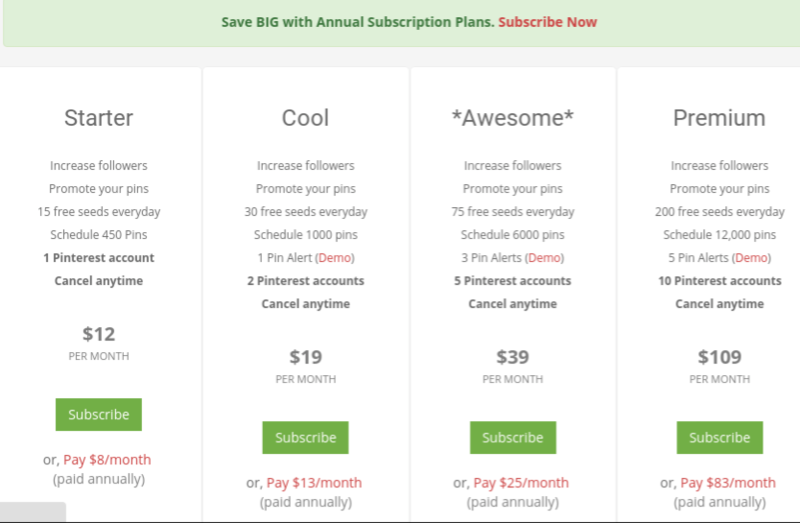 There are also subscription plans from $12 a month to $109 a month with a lot more perks, but it’s expensive! When you schedule pins using Viralwoot, you get up to 100 free pins a month. To schedule pins, you can use Viralwoot’s bookmarklet, upload photos from your computer or Facebook, or you can search Google images within Viralwoot. I never used the Google images option, so I figured I’d test it out here. I searched “Chili”, and then several different images of chili came up with links to chili recipes. From there, I could schedule as many as I wanted to a board (or different boards) and manually designate the date and time. Why Did I Give It Up? While Viralwoot is a decent option for Pinterest scheduling, I found the user interface to be really clunky and non-user friendly. It took a lot of effort to schedule pins and I didn’t like that I had to manually determine when pins should be scheduled. In addition to that, dealing with seeds to like and repin accounts that are not appealing to me or my followers was a complete waste of my time. I rarely found accounts that were interesting to me, and honestly, a lot of the accounts looked like spam. I felt like I was buying followers, which is not something that I want to do. I want my account to grow organically. It didn’t take long for me to give up on Viralwoot in search of another option. Fortunately, I learned about Tailwind. 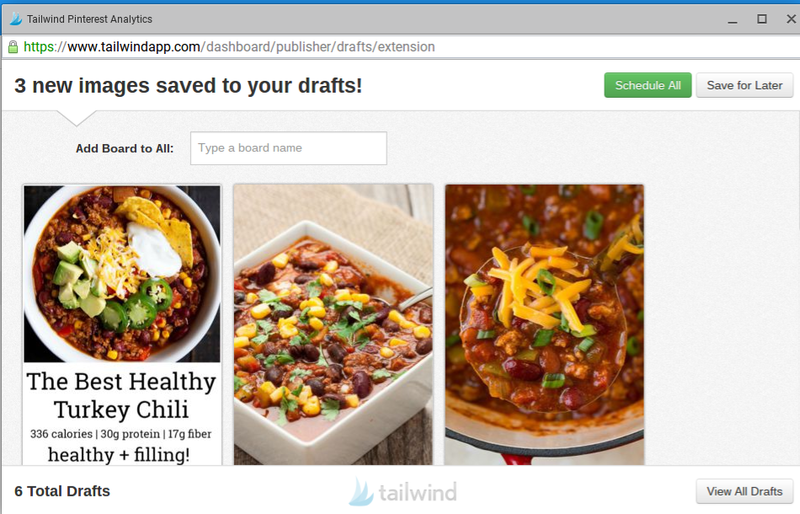 Tailwind is a fantastic Pinterest scheduler that is full of amazing features! It is also “approved” by Pinterest, so there is no worry about your pins not being seen because you’re using an external application. Even better, you can get a FREE month of Tailwind by signing in with your Pinterest account at any time! Tailwind has a LOT going on. The Dashboard is where you’ll start when you log in, and you can see how you’ve been doing in the past 7 days. As you can see on my page, I’ve had 274 repins – which is HUGE for me! I’ve also had 42 domain pins, meaning that I’ve had 42 pins from my site, runwithnoregrets.com. I’ve also gained 29 followers, slightly higher than normal. I think the analytics offered on Tailwind are even more powerful than Pinterest Analytics. Looking more in-depth into your analytics, you can see your trends for followers, pins, repins, and likes on a weekly basis. You can also track your pins’ engagement rate. Engagement is chiefly measured by the amount of repins you receive. The higher the numbers, the better you’re doing! You’ve probably heard that there is a magic number you should choose when it comes to pins per day. I’m not really sure about that, but right now I’m pinning about 13-18 pins per day and it seems to be working well. I used to pin a lot less, but what’s awesome about Tailwind is that it tells you the best times that you should pin, based on your Pinterest data. This is huge! 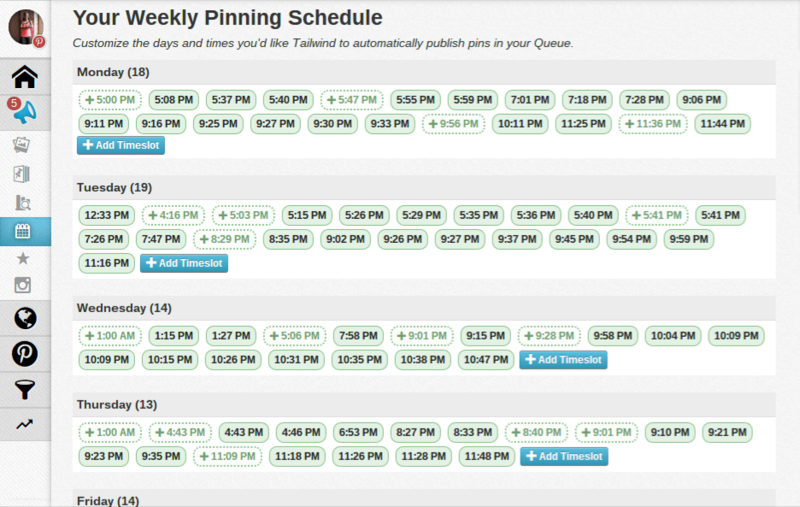 As you can see in the image below, Tailwind actually recommends specific pinning times to use. You can add any of them to your schedule by clicking on the button, or you can just add more timeslots. Below you can see a snapshot of my scheduled pins on Tailwind. With the annual plan, you get unlimited pins so you can pin as far ahead as you like. I try to have around 100 pins in my queue at any given time. It seems like a lot, but once you learn how to use Tailwind, it’s really easy to keep it going. And another really cool feature that’s relatively new is that you can make pin scheduling easier by creating board lists! If you have images from your blog that you want to share to multiple groups, create a board list! That way you can pin to multiple groups at the same time or you can create whatever pinning interval you like! I usually use a 1-day pinning interval. It seems to be working very well, especially as I join more relevant group boards. 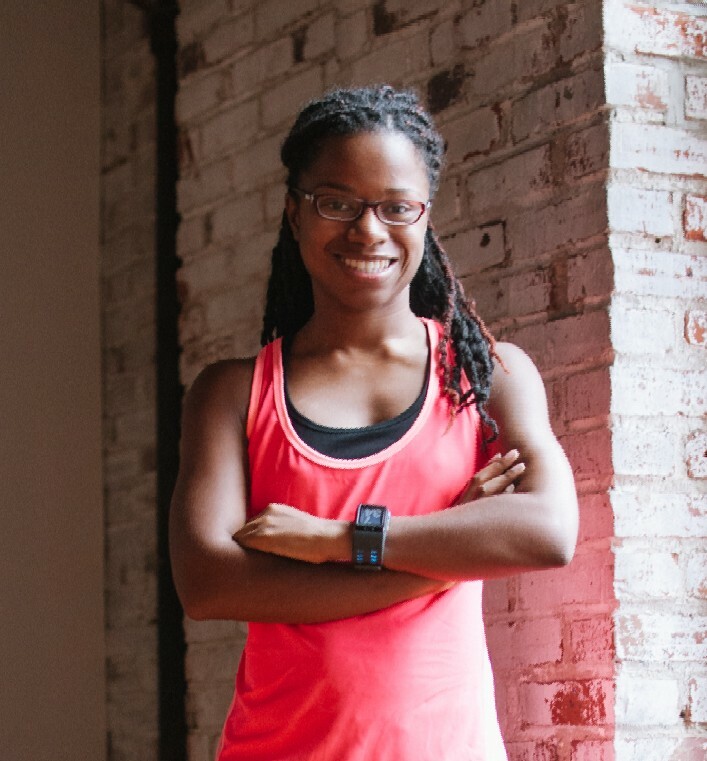 You may also like: Zwift Run App - Making the Treadmill More Fun! It’s really cool how you can schedule pins, and there’s more than one way to do it! If you find a pin on Pinterest that you’d like to schedule to one of your boards, simply hover over the pin and click on the blue-winged Tailwind logo between the send and like buttons. If you want a closer look at the image, click on it, and there will be a Schedule button right next to where you’d normally hit Pin it. When you click on the wing, a new dialog box will open and you can select one or multiple boards to repin it to, write in a description for the pin if there isn’t one already, and add it to your scheduling queue. You can also save it later as a draft. Let’s go back to the example of searching for chili. 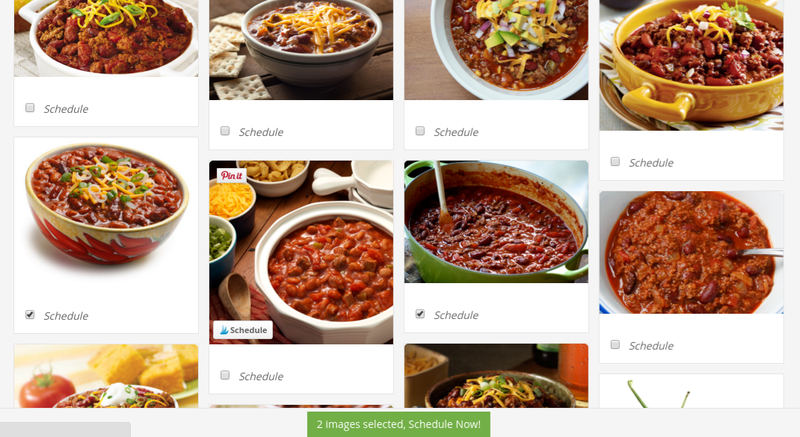 If you’re on Pinterest, you can search for chili like you normally would using the search bar. The next step is to click on the Tailwind Chrome Extension (blue wing icon) next to your browser’s search bar and you’ll be prompted to select the pins you want to schedule. This is an easy way to schedule pins in bulk! Select whichever pins you like, and then hit “Go Schedule”. So easy to schedule multiple pins on Pinterest! Then, you can assign which boards your pin should go to. 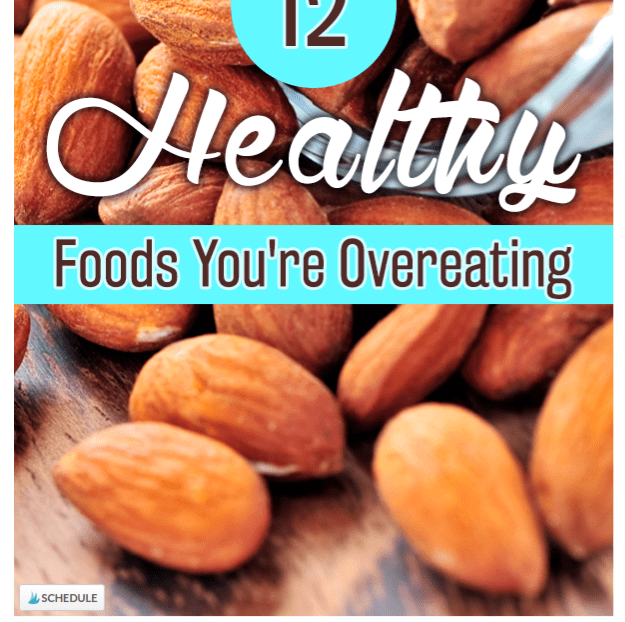 You can even have them all go to the same board – for example, I would add chili to my Healthy Dinner Ideas board! 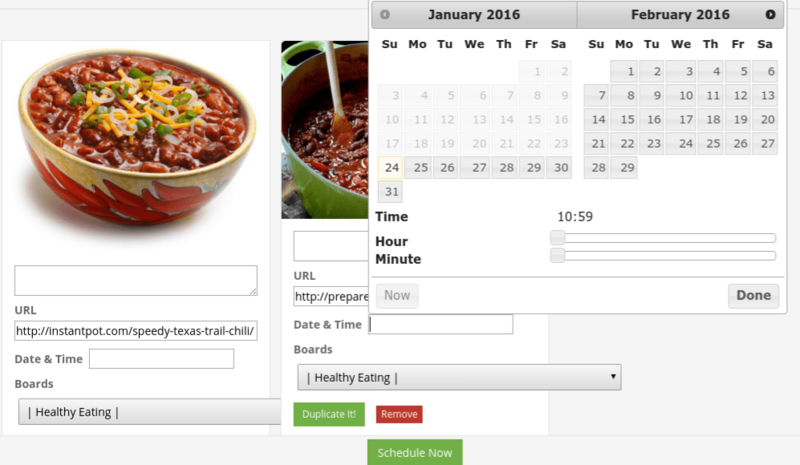 The really cool thing is that you can use Tailwind to schedule any images online! I do this all the time to share interesting pins with my followers. For example, here’s how it looks if I see an image I’d like to share from the Run to the Finish blog. When I hover over the image that I want to pin, a Schedule icon shows up on the bottom left corner. Click on that and you’re off to schedule! You could also use the Chrome Extension to find the image to pin, but I find this method easier in this instance. Unfortunately, there’s no way to schedule pins when using Pinterest’s mobile app. There are also the Professional and Enterprise Plans available, but they are extremely expensive. If you’re a big-time social media guru, that may work for you! Using Tailwind has made the world of a difference for my site traffic! I’ve mentioned that Warning: What NOT To Do When Running in the Dark is one of my most popular posts ever, now with over 500 pins! How did that happen? A big reason is that I’m now able to pin to group boards regularly, and Tailwind makes it so easy! And would you believe that thanks to those pins, the post has been viewed over 4,000 times? I’ve just started getting over 4,000 page views in one month! It’s so exciting for a blogger like me that has pretty low traffic to see these kinds of results! Having Pinterest and using Tailwind is such a game changer for my blog. Being able to consistently pin my content and others’ for weeks in advance is huge! The more pins that are repinned, the more followers you gain, and the more traffic that comes into your blog. It’s a win-win-win! Hopefully, I’ve been able to convince you to try the Tailwind app! 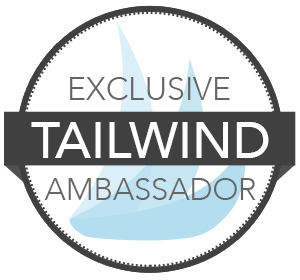 You can sign up to try Tailwind for FREE for your first 100 pins! After that, you can sign up for the Plus plan and get unlimited pinning if you pay annually, or otherwise pay $15/month. I am an affiliate for the Tailwind, and this is my referral code for Tailwind. If you sign up for Tailwind as a paid user, you can become an affiliate too! Hopefully, you gained a lot of information about Pinterest scheduling by using Tailwind and maybe you’ll give it a try and see your blog grow in traffic! This guide is only the tip of the iceberg – once you sign up you can really see all that Tailwind can do! Does Pinterest drive a lot of traffic to your blog? Do you use Tailwind, Viralwoot, or a different Pinterest scheduling tool to schedule your pins? 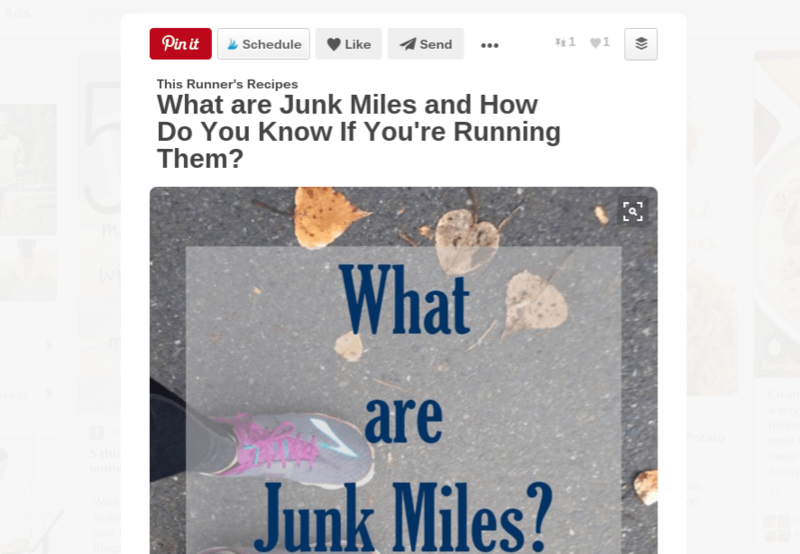 I’m sharing this post with Julie from Running in a Skirt for the Best of the Blogs linkup!